The Pathway and River Cleanup is a special event that happens annually. The goal is to remove all the litter that accumulates along our riverbanks and pathways over the winter months. In addition to being an eyesore, the garbage can be deadly to Calgary’s wildlife. 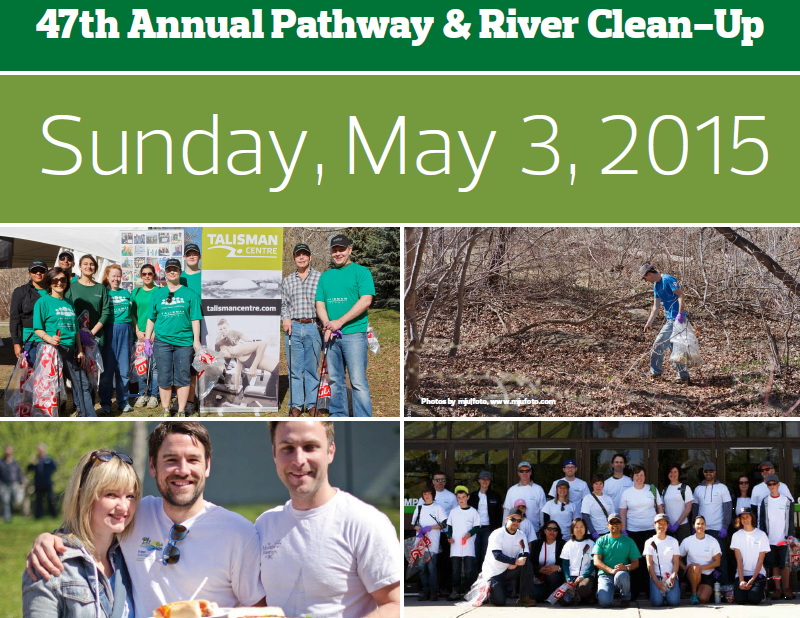 You can help to make Calgary a cleaner city and promote environmental stewardship among Calgarians. Plus, we provide free coffee and muffins to get you started and a BBQ lunch to thank all registered volunteers. Registration begins at 10:00am and you are invited to help out for as long as you can. For more information, please check out our event poster by Clicking Here. We hope to see you on May 3rd!